Over the years, Honda has earned a reputation for producing quality automobiles that are at the forefront of innovation. 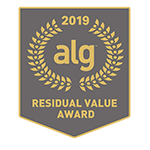 From loyalty accolades to value awards, Honda is honored to have its vehicles so highly regarded by our customers and the automotive press. 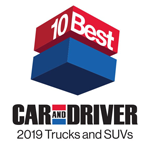 Before buying a new minivan or truck, Jackson car shoppers should check out the award-winning Honda Odyssey and Honda Ridgeline from their Mid-Michigan Honda Dealers. The 2019 Odyssey* has been awarded the coveted 2019 TOP SAFETY PICK rating from the Insurance Institute for Highway Safety (IIHS) in recognition of its crash-safety performance. 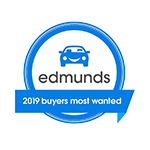 Honda cleaned up at the 2019 Edmunds Buyers Most Wanted Awards, with the Odyssey earning the top spot in the Minivan segment. As the only pickup* to earn a 2019 IIHS TOP SAFETY PICK rating*, the well-equipped Ridgeline helps you feel secure behind the wheel. For more information, visit Kelley Blue Book’s KBB.com. 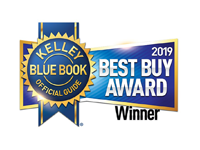 Kelley Blue Book is a registered trademark of Kelley Blue Book Co., Inc.  Based on ALG’s residual value forecast for the 2019 model year. Award applies to Touring and Elite trims. 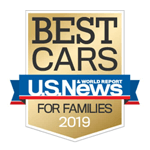 View U.S. News Best Cars at cars.usnews.com. Car and Driver, February 2019. 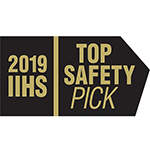 2019 IIHS TOP SAFETY PICK as of 3/21/2019. Award applies to RTL-E and Black Edition trims. Mid-Michigan Honda Dealers	42.278566, -84.378236.